Bank of America put a negative on my credit report. I am buying a house, and want to learn how to clean-up my credit report. When I applied for pre-approval for a first-time home loan last fall I learned a Bank of America account had negative comments. Because I know closing accounts can negatively affect your credit score I did not close this account, but had paid it in full at the local branch in 2006. It was a debacle like you can't imagine. Eventually they finally got "someone" on a phone line to check my credit card account balance. Then they insisted I owed additional interest in addition to my balance, which I reluctantly paid at that time. The following month I got a statement saying I had interest charges on a zero balance. After countless hours of aggravation on the phone, I finally just paid it and figured that would be the last I would have to deal with their creative accounting practices. So when I noticed this on the report I chose to ignore it. At this time my report was high 700 and above 800. I recently received a letter from Chase bank (Amazon) closing a credit card that I had for about 4 years but used infrequently due to inactivity. I suspect this will lose points on my credit. I put a deposit on my dream townhouse in December (a short sale)that I haven't heard anything thing on other than the controlling bank has the paper work. In addition, I recently joined the ranks of the unemployed. I suspect this will be temporary but would like your input 1) Should I try to correct the credit report for Bank of America? 2)Can I do anything about Chase closing that account arbitrarily? You raise two separate issues regarding your credit report: Chase closing your account and the derogatory comment in your credit report regarding the Bank of America account. I will deal with the Chase issue first. The Credit Card Accountability Responsibility and Disclosure Act of 2009 is an amendment to the Truth in Lending Act. The Credit CARD Act of 2009 is designed to make communications from credit card issuers clearer to consumers, and not necessarily lower interest rates or prevent issuers from lowering credit limits arbitrarily. Banks have the right to close credit card accounts. Under the Credit CARD Act of 2009, banks can still close accounts, but need to give customers notice. You mentioned in your question that Chase had closed the account "arbitrarily." You also said that Chase said it closed the account because of inactivity. Here, it appears Chase noticed you were not using the account, and gave you notice that it was closing the account. Based on the facts you provided, I do not see a violation of the law here. When Chase closed the account, your credit rating sustained some slight damage. If you convince Chase to reopen the account (which is certainly possible) your credit score will again suffer a slight decrease. Unless you plan to use the account soon, I would recommend you let the account go. A mortgage broker reviewing your history will not give much thought to an Amazon-Chase credit card you used infrequently for online purchases and may have opened to get a sharp deal on express shipping. I suggest you focus your efforts on repairing the derogatory Bank of America entry. Regarding the issue you are having with Bank of America and your credit report, because you seem baffled by what led to the derogatory comment on your credit report and cannot extract a reasonable explanation from Bank of America, you may be able to use that to your advantage. My reasoning here is that if you cannot explain succinctly what went wrong, Bank of America probably cannot either, and that you have a chance that the derogatory item will be removed if disputed. The rest of my message explains how to dispute an item on your credit report. The information contained in a credit report is an imperfect snapshot of a consumer's financial life from 60 to 90 days ago. In fact, credit reports are notoriously inaccurate. The General Accounting Office reports that of the 52 million free credit reports requested of the credit reporting agencies (commonly called "credit bureaus") through AnnualCreditReport.com, 25% of those reports resulted in a dispute. Of those disputes, only 25% were verified as accurate. According to a 2004 Federal Reserve Board report, 79 percent of credit reports may contain some type of error and that about 25 percent of all consumer credit reports may contain errors that can result in the denial of access to credit. The Fair Credit Reporting Act (FCRA), a federal law, requires consumer credit reporting companies to report accurate information. If you find any inaccurate information in your credit report, you should dispute the credit report listing with the bureau in question. An amendment to the FCRA requires each of the nationwide consumer reporting companies -- Equifax, Experian, and TransUnion -- to provide you with a free copy of your credit report, at your request, once every 12 months. The three nationwide consumer reporting companies have set up a Web site, toll-free telephone number, and mailing address through which you can order your free annual report. To order, visit AnnualCreditReport.com, call 1-877-322-8228, or complete the Annual Credit Report Request Form and mail it to: Annual Credit Report Request Service, P.O. Box 105281, Atlanta, GA 30348-5281. You can print this form (PDF). Do not contact the three nationwide consumer reporting companies individually. They provide free annual credit reports through AnnualCreditReport.com, 1-877-322-8228, and Annual Credit Report Request Service, P.O. Box 105281, Atlanta, GA 30348-5281. You may order your reports from each of the three nationwide consumer reporting companies at the same time, or you can order from only one or two. The law allows you to order one free copy from each of the nationwide consumer reporting companies every 12 months. You need to provide your name, address, Social Security number, and date of birth. If you have moved in the last two years, you may have to provide your previous address. To maintain the security of your file, each nationwide consumer reporting company may ask you for some information that only you would know, like the amount of your monthly mortgage payment. Each company may ask you for different information, because the information each has in your file may come from different sources. If any of the above information is inaccurate, the consumer credit reporting company may have added incorrect information to your account accidentally. This is very common. Alternatively, someone may be using your identity. Under the FCRA, both the consumer credit reporting company and the information provider (that is, the person, company, or organization that provides information about you to a consumer reporting company) are responsible for correcting inaccurate or incomplete information in your report. To take advantage of all your rights under this law, contact the consumer reporting company and the information provider. Tell the consumer reporting company, in writing, what information you think is inaccurate. Include copies (NOT originals) of documents that support your position. In addition to providing your complete name and address, your letter should clearly identify each item in your report you dispute, state the facts and explain why you dispute the information, and request that it be removed or corrected. You may want to enclose a copy of your report with the items in question circled. Your letter may look something like the one below. Send your letter by certified mail, "return receipt requested," so you can document what the consumer reporting company received. Keep copies of your dispute letter and enclosures. Consumer reporting companies must investigate the items in question -- usually within 30 days -- unless they consider your dispute frivolous. They also must forward all the relevant data you provide about the inaccuracy to the organization that provided the information. After the information provider receives notice of a dispute from the consumer reporting company, it must investigate, review the relevant information, and report the results back to the consumer reporting company. If the information provider finds the disputed information is inaccurate, it must notify all three nationwide consumer reporting companies so they can correct the information in your file. When the investigation is complete, the consumer reporting company must give you the results in writing and a free copy of your report if the dispute results in a change. This free report does not count as your annual free report. If an item is changed or deleted, the consumer reporting company cannot put the disputed information back in your file unless the information provider verifies that it is accurate and complete. The consumer reporting company also must send you written notice that includes the name, address, and phone number of the information provider. If you ask, the consumer reporting company must send notices of any corrections to anyone who received your report in the past six months. You can have a corrected copy of your report sent to anyone who received a copy during the past two years for employment purposes. If an investigation doesn't resolve your dispute with the consumer reporting company, you can ask that a statement of the dispute be included in your file and in future reports. You also can ask the consumer reporting company to provide your statement to anyone who received a copy of your report in the recent past. You can expect to pay a fee for this service. Tell the creditor or other information provider, in writing, that you dispute an item. Be sure to include copies (NOT originals) of documents that support your position. Many providers specify an address for disputes. If the provider reports the item to a consumer reporting company, it must include a notice of your dispute. And if you are correct -- that is, if the information is found to be inaccurate -- the information provider may not report it again. To obtain a sample of a dispute letter please visit the Bills.com Debt Self-Help Center. 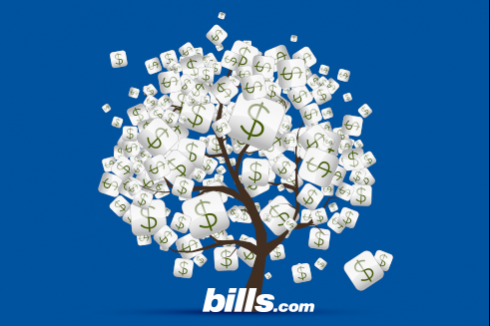 Be sure to read our Bank of America Review and Profile on Bills.com. While applying for a home loan (ironically through B of A) one of the credit reports turned up a negative mark filed by B of A on a credit card that I believed to have been closed for more than three years. Apparently, after I closed the card a merchant continued to charge a recurring monthly fee for several months before reversing the charges. The sum total of all charges and late fees over this three year period comes to $18.00. But, since B of A reported the account as grossly overdue my credit report took a dive which is now jeopardizing my ability to lock the original rate I was quoted for the home loan (resulting in a $3000 difference in closing costs). After speaking to no less than ten different B of A customer service reps they pretty much agreed that B of A would review this case and issue a Letter of Correction on my behalf. Instead, I received two letters from B of A in the mail yesterday, the first contained three years worth of statements showing an $18.00 charge, and the second was what appears to be a form letter that states B of A has determined that there were no errors on their part and that I owe $18.00. I am not concerned about the $18.00, I need my credit history resolved. The statements delivered this week were the first ever delivered since I closed the account in 2011. Why in all the thousands of pieces of junk mail I've received from B of A could they not have sent me a bill in the past? What can I do? I'd like to take the bank to court. If an $18 charge is standing between the BofA loan officer closing this deal and not closing this deal, then it's time you applied elsewhere. I find it difficult to believe the loan officer could not ask BofA's underwriter to grant an exception for such a trivial error. Why do BoA loan officers charge over $400.00 for a credit report when applying for mortgage other than the same from the credit bureau? $400 is way above what it should cost for a credit report. You should contact BoA, speaking with a supervisor if necessary, to hear their explanation. You may also want to make a complaint with the FTC, the CFPB, or your state's Consumer Protection division of the Attorney General's office. Thanks for the valuable information. I started to build my credit for the first time on June in BOF, but I wonder when my score report will be posted. Can I enforce it to be posted soon? I received an e-mail about my credit expenses this month from the bank. Does this means that the bank already updated my score? You must order a special credit report to see your credit score. The three free reports consumers are entitled to (one from each bureau within any given 12 month period) do not include the credit score. If you wish to see your score, then check your credit report today and get a free credit score instantly. I've recently started the dispute process with B of A regarding my SIGNATURE VISA card, which B of A contends pertains ONLY to this type of credit card account and is very critical information in regards to my dispute. I pulled my credit report, as I do annually and I have minimal credit card debt right now with a very excellent credit score. But in examining my CREDIT to DEBT RATIO (a VERY critical part of one's FICO score calculation) I noticed, it was at 60% and I was BAFFLED. The problem is, my CREDIT LIMIT is NOT being reported with this B of A card and I called B of A to discuss. A supervisor insisted the credit bureaus are all reporting this account as a FLEXIBLE ACCOUNT and have decided to eliminate the credit limit with only this type of card. I've taken this up with all three bureaus and they of course insist they only report what's been furnished to them by B of A, as required by federal law. I realize this could be affecting thousands of consumers, is anyone also aware of this issue, I'm going to work diligently to have this corrected and put in front of consumer advocacy groups, anyone that might be able to help get this corrected. I'm an educated consumer and I know my rights. Thanks for any insights. You are correct that certain credit cards, No Pre-Set Limit Cards, such as your Signature Visa Card, can be reported without a credit limit. Different banks or issuers report the cards in different manners. If a credit limit is attached, then the card will be treated as a regular card. If the card is reported as a open line of credit, then it won't be used to determine your FICO score. However, if it is reported with high balance, then the card will be included in calculating your credit utilization. It is my understanding that the Bank of America Signature Visa Card which you have, is a No Pre-set Limit Credit Card and the high balance is reported. I recommend that you shop for a card that is most appropriate to your shopping and credit report needs. If you have had this card for a long time, it may be best for your credit score to pay the balance to $0 and leave it open, as you benefit from accounts with a long history. Bank of America was the one that damaged my credit rating. It took 10 months of battling with them until they finally found/admitted they had attached someone else bankruptcy on my short-sale causing the short-sale to be seen as a charged off bankruptcy. If you think it is Bank of America don't give up! What mailing address did you use for Bank Of America to dispute this charge? I am having the same problem. Right now I am in with the Office of the Comptroller of the Currency (OCC). They are dealing with it. Still do not know the outcome.